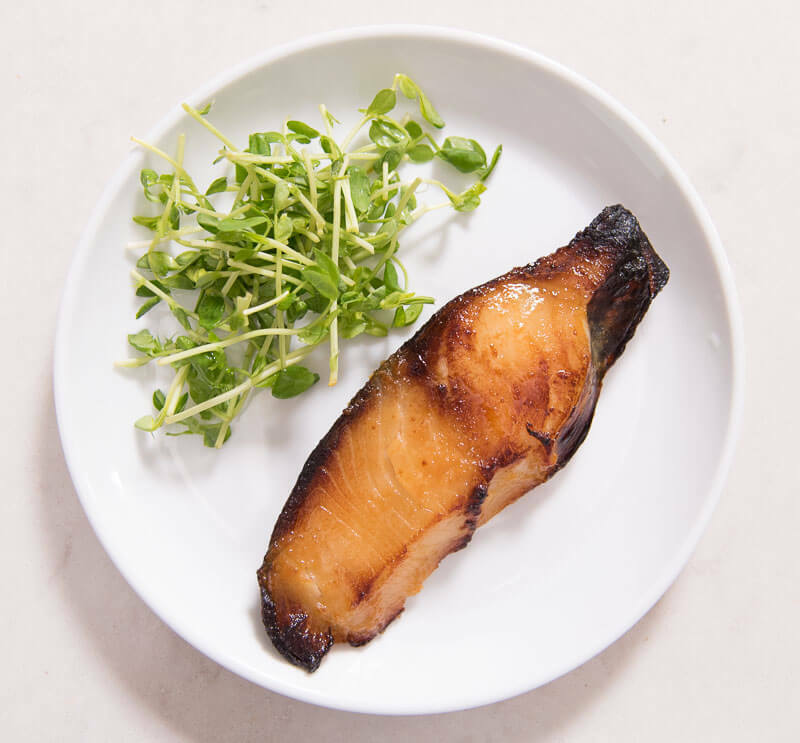 Miso Marinated Black Cod is one of my favorite ways to not only eat miso, but also fish! The miso marinade is sweet and salty and packs a ton of umami. (remember 1 ton = 1,000 pounds!) If you can’t find black cod, your best bet is a fatty fish like Chilean seabass or other neutral tasting white fleshed fish. Fattier = better as the fat carries the flavors of the marinade straight to your mouth. Like a freight train of flavor, which is what we need to also transport that ton of umami. 🙂 Like many of my Japanese dishes, all you need is some rice, maybe some veggies, and miso soup! As with any ethnic cuisine, I realize ingredients can sometimes be difficult to source. And sometimes that’s certainly a frustrating barrier for one who enjoys exploring the world with their mouth. Like me. Nom. 🙂 Nom. This particular recipe however doesn’t have that barrier. Because if you’ve ventured into any homemade Japanese cuisine recently, you’re like to have these ingredients already on hand! In fact, you should be able to run freely in sunny grass filled fields. With your hands up in the air and wide open smile. Don’t eat any bugs though. The 4 ingredients we need for the marinade should be readily available, at your local supermarket, if not on Amazon. While there are many variations of the marinade and the steps to prepare, this misoyaki is one of my go to recipes. I always make a big batch and freeze to eat over the next few weeks! 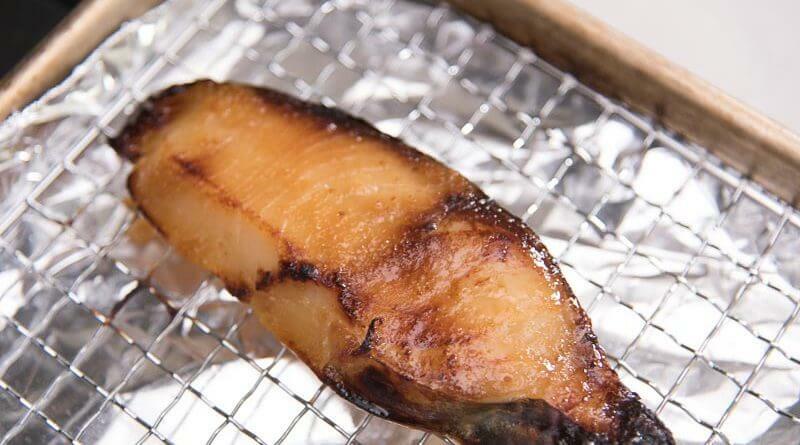 Misoyaki (味噌焼き) literally translated means miso grilled. You could grill this, but for the sake of convenience we’re just using the broiler. As this is a popular preparation of fish, there are naturally many variations on how to make it. I have seen some recipes that cook the marinade in order to dissolve the sugar. And that’s actually what I did the first time I ever made it many years ago. However, after trying other recipes I found it wasn’t necessary. Now, I just mix everything together and marinate without heating. Here’s how the marinade looks just before mixing. Another variation has to do with handling the fish prior to marinating. One of the important steps is to lightly salt your fish pieces. cuts down on the fishy flavors/odors. I usually do salt for at least 30 minutes and no more than an hour. Other recipes may omit this step, or use sake or mirin in place of or in addition to salt. The end result is the same, better flavor! You can extend this technique to other fish recipes (outside of Japanese cuisine) as well. It may very well make eating fish more pleasant! The last variation isn’t so much a variation, rather, it has to do with your personal tastes and access to miso. Did you know? The salt content varies between types and producers of miso. That, plus your personal tastes in terms of how sweet or savory you like your fish, will affect how much you like this marinade. I personally don’t like my meat and fish to be sweet. So I’m always very conservative with the amount of sugar I use. 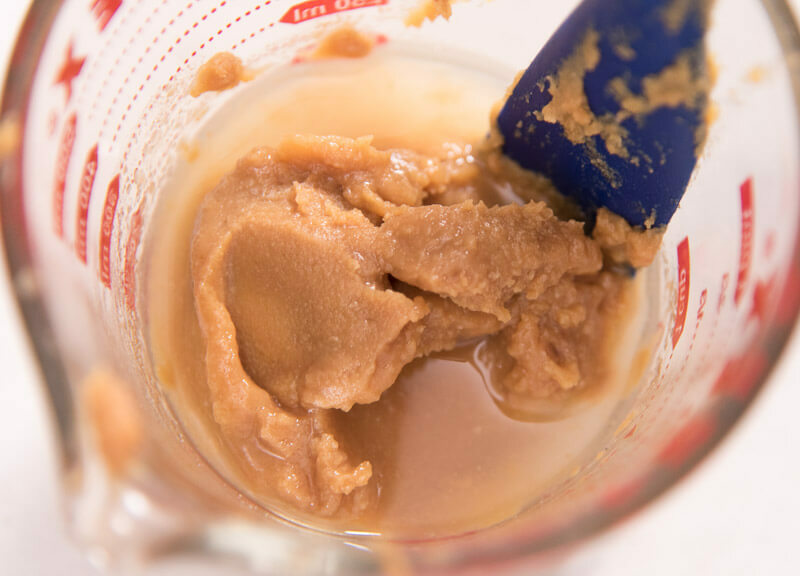 If your miso is on the saltier side or you just like things to be sweeter, you might need to adjust the sugar by a tablespoon or two. As you may know, sometimes recipes can be used as a starting point and adjusted to your liking! I’d recommend marinating the fish for at least a day but not more than 2 since it will become salty after. If it’s already at day 2 of the marinating step remove it, wipe off the excess and freeze. Airtight. It’ll store well for a few weeks. You can reuse the marinade for more fish or even meat like chicken or pork. I usually use it at least one more time, beyond that it will start to get ‘fishy’ and is not recommended. The flavor of the miso marinade complements fish, chicken and pork quite well. But my favorite is still gindara, or black cod! 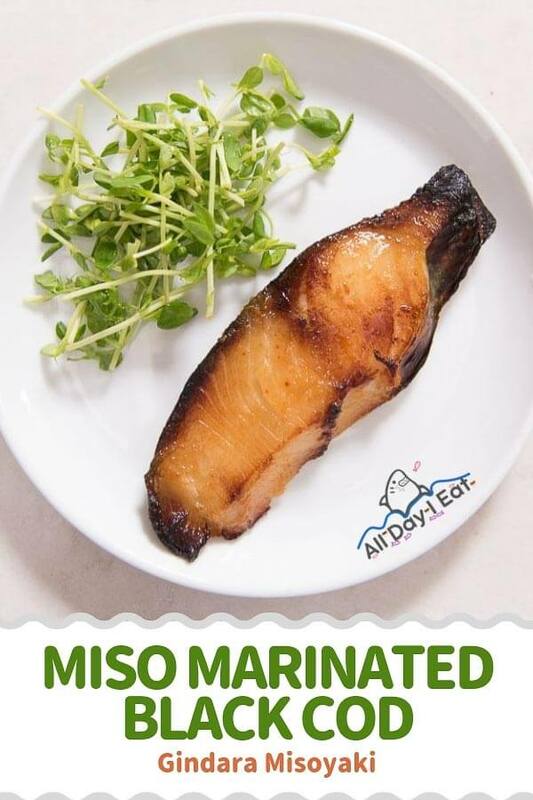 Some of my other favorite miso marinated fish types include mackerel and wild king salmon or Copper River salmon when in season. In my opinion, the fattier the fish the better, especially with this marinade. And they’re good fats too. Read up if you haven’t already – Omega threes! Well… marinating the fish for at least 8 hours, will still give you tasty results. But being a little more patient, may make it even better. If you’re making a big batch you can experiment yourself and see how the flavor changes with different marinade times. Have you made misoyaki before? Let me know how you made it / how it turned out below! 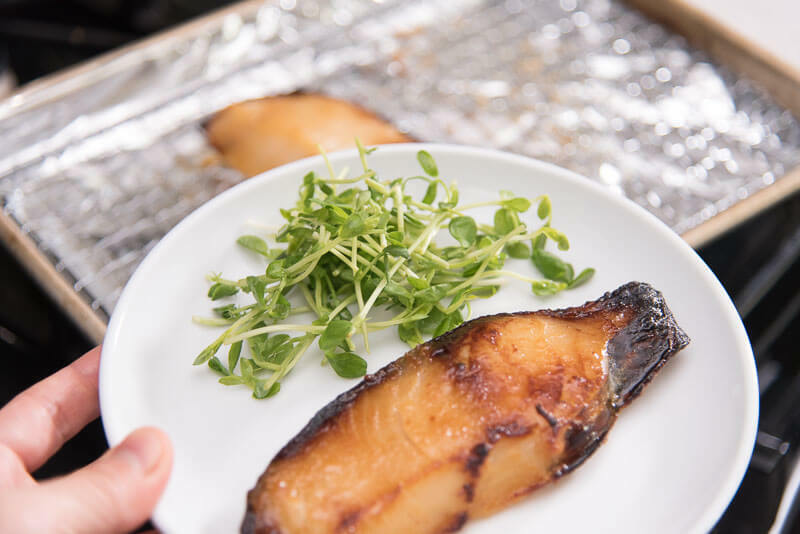 Miso Marinated Black Cod is one of my favorite ways to not only eat miso, but also fish! The miso marinade is sweet and salty and packs a ton of umami. (remember 1 ton = 1,000 pounds!) If you can't find black cod, your best bet is a fatty fish like Chilean seabass or other neutral tasting white fleshed fish. Fattier = better as the fat carries the flavors of the marinade straight to your mouth. Like a freight train of flavor, which is what we need to also transport that ton of umami. 🙂 Like many of my Japanese dishes, all you need is some rice, maybe some veggies, and miso soup! Clean, and filet your fish. Cut into 2 inch pieces (width). Sprinkle salt over both sides of the fish and set aside on a paper towel lined plate for at least 30 minutes to an hour. Using a small bowl, mix the sugar into the sake and mirin and then add the miso paste. Next once time has passed, wipe off excess salt and moisture from the fish with a fresh paper towel or two. 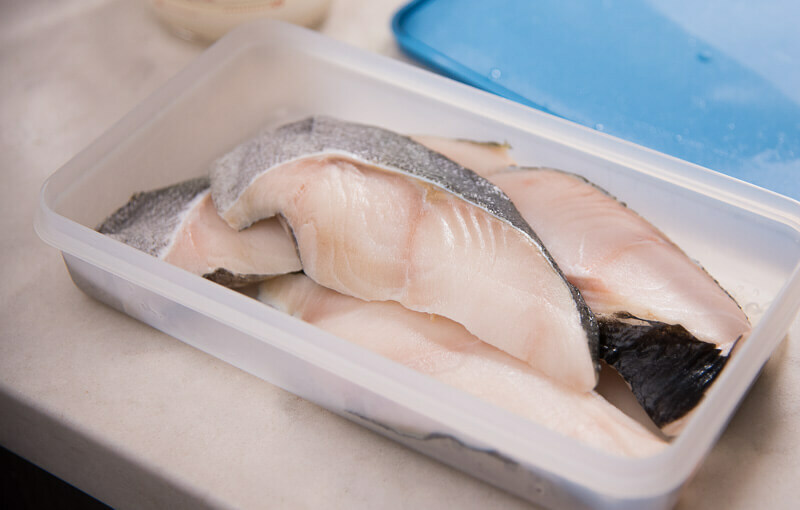 Spread the marinade evenly if using a container or drop into a thick ziplock bag and ensure the fish is evenly coated. Marinate for 12 hours to 2 days max. remove as much of the marinade as possible (it will burn) and place skin side up on a oven safe tray (use a wire rack if you have one). 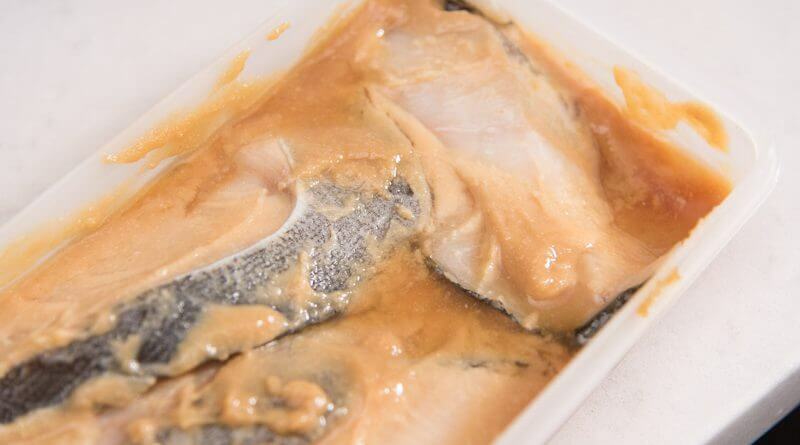 Watch closely so it doesn't burn, you'll notice once the flesh begins to turn a light caramel color or the bits of marinade turn dark, the fish will be ready. Serve with a wedge of citrus, some white rice and miso soup. Enjoy! Tip - if you broil with a wire rack you may not need to flip, i use the top rack of my oven and it's usually done in 3-4 minutes with the broiler. This is because heat gets reflected from underneath the fish as well. 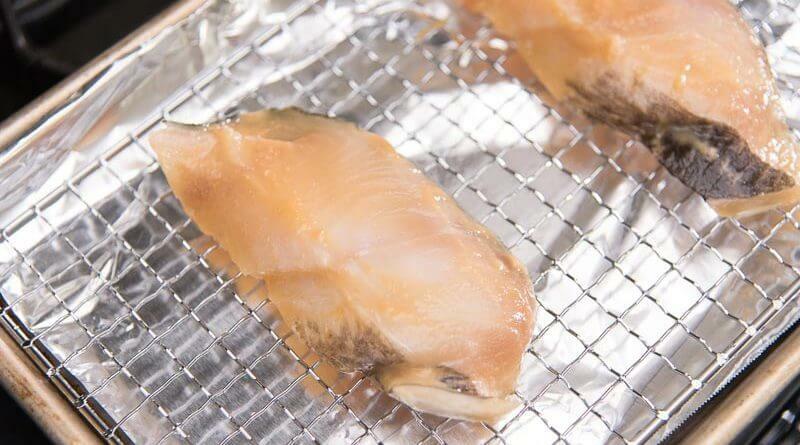 It also makes for a better drier texture so, I always recommend using a rack to bake/broil your fish if possible! If broiling, watch closely though since the marinade will burn easily if not wiped off completely. Sounds delicious. I like how simple the marinade is. indeed indeed 😉 have you made anything similar? Yes, I’ve marinated salmon in teriyaki/soy sauce, brown sugar, grated fresh ginger and garlic. I’ve added mirin and miso paste too sometimes.